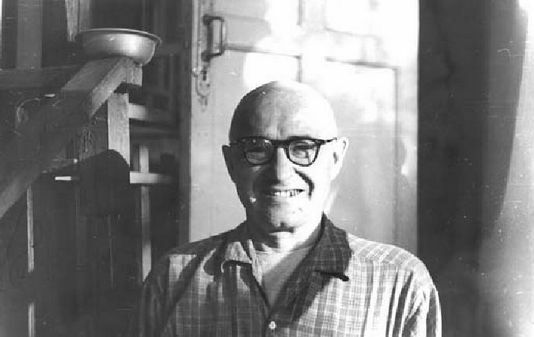 Lev Alexandrovich Galin (1912-1981) was an outstanding scientist in the field of contact mechanics. L. A. Galin was born in the town of Bogorodsk of the Nizhegorodskii region in the family of an engineer. After school, he worked first as a librarian, then entered the Moscow Technological Institute of Light Industry, graduating in 1939. At the Institute, teachers paid attention at once to his extraordinary talent, and let him study in accordance with an individual program. The first scientific work of L. A. Galin Solution of boundary value problems of elast ic ity by the method of point interpolation was published in the journal Applied Mathematics and Mechanics in the year of his graduation. 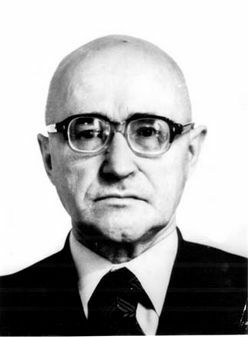 He continued his research at the Institute of Mechanics of the USSR Academy of Sciences, entering as a post-graduate student at this institute in 1939. 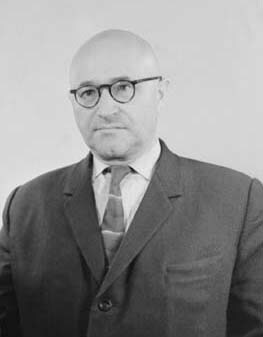 In 1942 L. A. Galin was awarded the PhD degree. His PhD thesis was devoted to methods for solving mixed problems of elasticity, and problems of elastoplastic torsion of rods with polygonal cross-section. It took him only three years to prepare the doctor thesis, during which period his scientific consultants were the well-known scientists N. E. Kochin and N. I. Muskhelishvili. 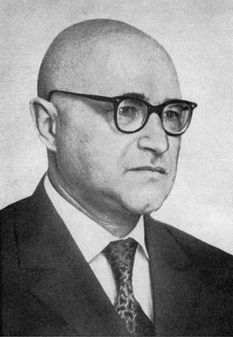 In 1946 L. A. Galin obtained the doctor degree in physics and mathematics; in 1951 he became a professor; and in 1953 he was elected as a corresponding member of the USSR Academy of Sciences. The area of scientific interest of L. A. Galin was extremely wide. His studies were devoted to various fields in the mechanics of continua - elasticity, plasticity, viscoelasticity, gas dynamics, subsoil hydromechanics, cavitation theory, and fracture mechanics. 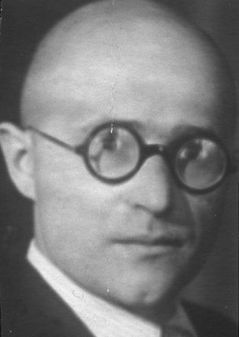 L. A. Galin was one of those who developed an important new branch of the mechanics of solids – contact mechanics. He analyzed a large variety of two- and three-dimensional problems of contact between elastic bodies, taking into account complicated boundary conditions, an isotropy, inertia forces, and other conditions. For example, he obtained a (partial) solution for the problem of a punch indenting an elastic half-space when there are both adhesion and slip regions in the contact area (Galin’s problem). His solution is based on reducing the Hilbert problem for two functions to a problem of conformal mapping, which he then solved approximately. L. A. Galin suggested methods for solving three-dimensional contact problems; obtained the general relation for the pressure under a smooth punch of circular cross-section; analyzed the influence of an additional load applied outside the contact area on the distribution of contact pressure; considered punches of circular, elliptic, wedge, and rectangular cross-section indenting a half-space; and solved the problem for a punch pressing on an elastic plate. On the basis of the solution of the problem for a narrow punch pressing on an elastic half-space, he determined when the Zimmerman-Winkler hypothesis was applicable. L. A. Galin developed a new direction in the theory of mixed problems – contact problems taking into account the change in shape of the surfaces during the wear process. The solutions of these problems are widely used in tribology, and also in wear and durability design of various joints. A large number of his works concern elastoplastic problems. He found remarkable solutions for plane elastoplastic problems for a plate with a circular hole subjected to tension, and for a beam with a circular hole subjected to bending. Also, he proposed an analogy for the plane elastoplastic problem (similar to the Prandtl-Nadai analogy), which made it possible to solve many elastoplastic problems experimentally. L. A. Galin considered a series of important contact problems taking into account the rheological properties of contacting bodies, analyzed the effect of vibration loading on structural elements (such as rods and beams) made of polymeric materials, solved the inverse problem of choosing the contour of a hole in a plate made of a glass-reinforced material. He suggested a theory of self-sustaining fracture, which describes the fracture dynamics of overstressed high-strength glasses, rock burst, and other phenomena. L. A. Galin published about 100 works in different branches of mechanics. His monograph Contact Problems of Elasticity (1953) became widely known, and was translated into several languages. He was the editor of the review, Developments in the Theory of Contact Problems in the USSR published in 1976. The results of his investigations into contact mechanics, including problems for viscoelastic bodies and others, were presented in the monograph Contact Problems of Elasticity and Viscoelasticity (1980). 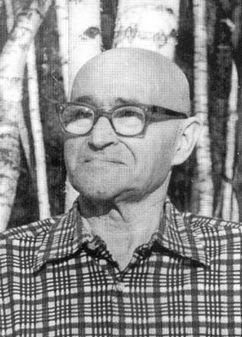 In the last year of his life, L. A. Galin completed the monograph Elastoplastic Problems published in 1984 after his death. The last two monographs were awarded a USSR State Prize in 1986. L. A. Galin was a Professor in Lomonosov Moscow State University in the Division of the Theory of Plasticity. I was fortunate to be a student of Professor L. A. Galin in this University, and to prepare my Master’s thesis and Ph. D. thesis under his supervision. He interested me in scientific research, and showed me the beauty of analytical solutions. After my graduation, I was happy to continue my research with Professor Galin at the Institute for Problems in Mechanics of the Russian Academy of Sciences, where he was head of the laboratory. 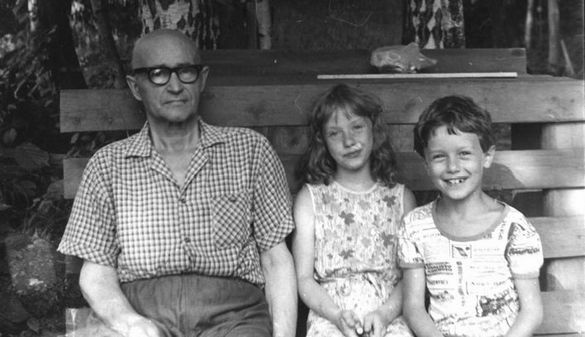 Those who were fortunate to know Lev Alexandrovich remember him not only as a gifted scientist but also as a man of great kindness and principle. Apart from science, he was fond of poetry, history and literature; he himself wrote poems. He continues to live in the hearts of his students and colleagues, who remain grateful to him. From the Book Contact Problems. The legacy of L.A. Galin. Springer 2008.